Four MORE Desert Rose Bowls! Read more about Four MORE Desert Rose Bowls! Desert Rose Salt and Pepper Shakers! 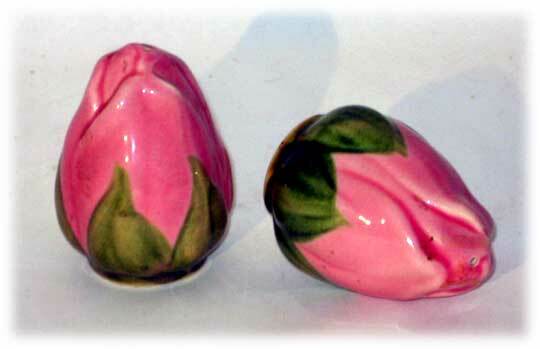 Read more about Desert Rose Salt and Pepper Shakers! Set of 4 Desert Rose Ceramic Bowls! Ironically, the morning I hurt myself we were scheduled to drive up and help my Favorite Husband's parents move from one apartment to another. That is why I was trying to cram a weekend's worth of laundry into two hours, which is why the well went dry and the pump lost its prime and overheated and blew its pipe just when Mojo shut it off and it all went boom and the green grass grew all around all around and the green grass grew all around. 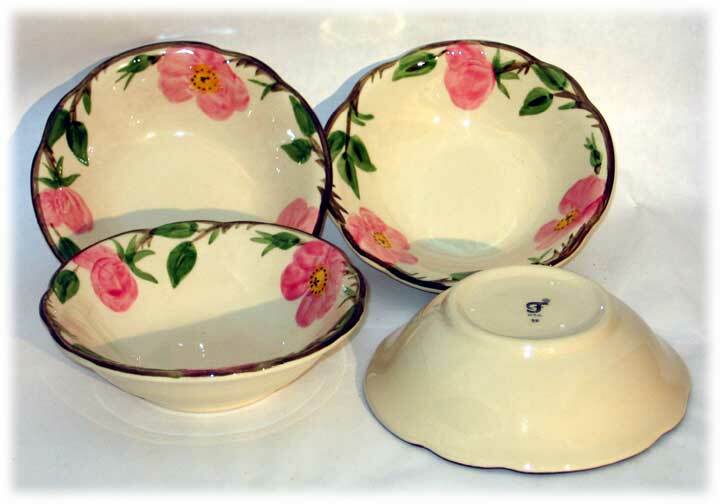 Read more about Set of 4 Desert Rose Ceramic Bowls! 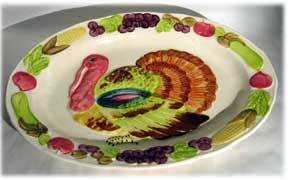 Read more about Ceramic Turkey Platter! Unlike when I first offered this for sale some time ago, NOWADAYS if you were to Google the phrase "Flying Cow Pile" you would get something. Granted, it's only my blog, sporting the original item description, along with a few phrases from other sites that do not mean what *I* mean by "Flying Cow Pile", but at least it's SOMETHING. 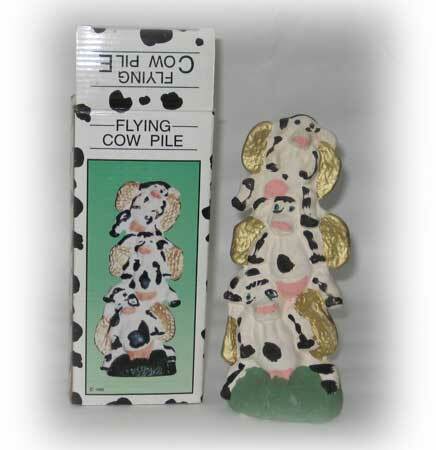 Read more about Flying Cow Pile! Envelopes! Lots 'n' Lots of Envelopes! Read more about Mojo's Magical Christmas Envelopes!